As New York’s premier Aveda salons, you know that we at Scott J. take conservation and ecological responsibility very seriously. For us, Earth Month is our favorite month of the year. This year, Aveda is partnering with Charity: Water and raising funds to provide clean water to those around the world. 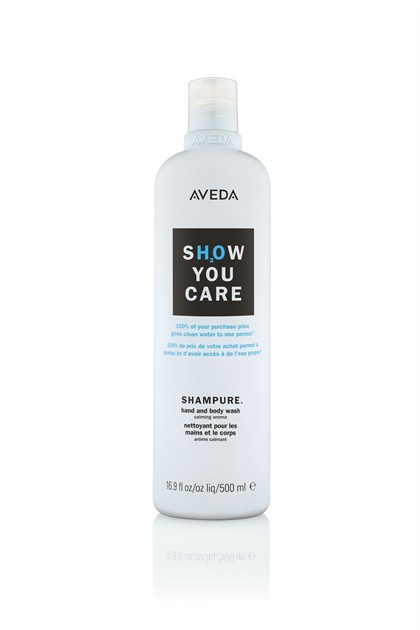 During the month of April, when you purchase a special, limited-edition Shampure, 100% of your purchase price will go to Charity: Water. The bottles are priced so that each one sold provides one person with clean water in India, Nepal, Madagascar or Ethiopia. This month in all of our Manhattan and Brooklyn salons, we are giving away a free Earth Month gift with every $5 donation (while supplies last). We’re also asking each guest to round up their salon total to donate to charity: water. Stay tuned to our social media and stop by any of our salons to participate. Every $5K we raise means one new well that Charity: Water will construct in a community that lacks clean water. In the meantime, read on for some easy tips and small changes that can save time and carbon dioxide and will fit into your busy everyday life. Seriously. This month, see if you can go an extra day between showers, or at least skip washing your hair to make your shower shorter. In addition to saving water, you just might save your hair—most of us actually over-wash, leading to dryness that our body responds to by amping up oil production. With the rise of Uber and Lyft, we admit, we’re finding ourselves opting for ride convenience a little more than we used to. But the carbon footprint of being the only rider in a car is measurably more than riding the train. We know it’s a bit cliché to say it, but we really have something special in our subway system. The MTA is a uniquely New York experience; you encounter things underground that you see nowhere else, from YouTube-famous subway performers to entirely remarkable passengers. So every now and again, try hopping on the train instead of calling the Uber for a one-person hike. With the MTA’s new Fast Forward plan, you’ll get there even quicker. And we’re not saying that you need to eschew rideshare forever, just to be conscientious about it. If you’re opting for a solo ride, keep in mind that Lyft has made strides to go carbon-neutral, so it might be a better option. If you have a few extra minutes, save some time and carbon dioxide and take an UberPool, which matches passengers that are heading in the same direction to save trips. It’s like splitting a cab with a couple of friends you haven’t met, and it not only saves on carbon emissions, it can save you a decent chunk of the normal fare. Speaking of ride-sharing, let’s talk about how much oil it takes to fuel 1.3 million cars for a year. That’s how much oil it takes to meet America’s demand for bottled water annually. We get it—grabbing a bottle of water from the bodega is crazy convenient. But the amount of waste produced annually by water bottles alone is almost incomprehensible. Last year Americans used about 50 billion plastic water bottles, and although some get recycled, the majority end up in landfills, where they take hundreds of years to decompose. 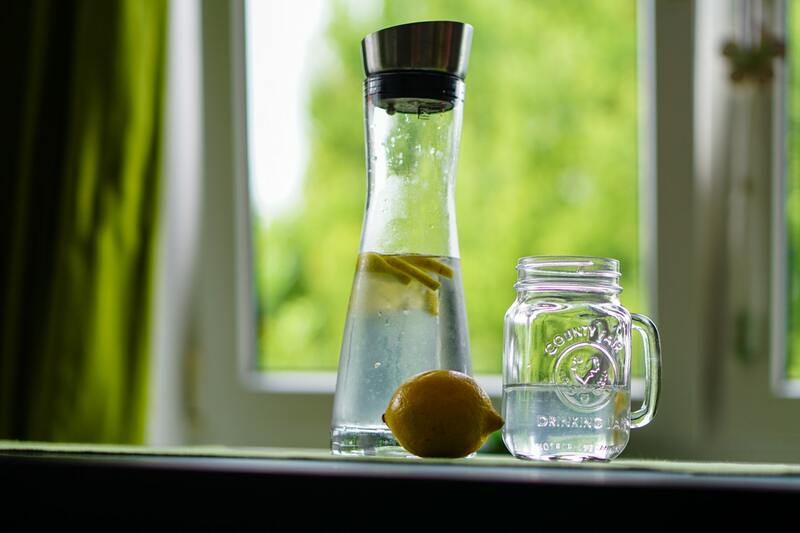 Switching to a reusable water bottle is an easier first step to a greener life, and it’ll save you money, too. Bring an empty reusable bottle to the airport and fill it twice at a water fountain (or a water bottle filler) and the bottle has basically paid for itself). Bonus: There are so many cute, Insta-worthy reusable bottles these days, you can basically consider yours a new accessory. And while you’re at it, go ahead and grab a sassy travel mug and ditch the paper cups. We know Earth Month is the time when everyone is focusing on green issues, but really, we live on a series of islands and keeping the air clean and minimizing sea level rise is crucial to our survival—so we should be keeping active all year round. In addition to lifestyle changes, if you want to get involved we’ll post some links below to learn more and fight climate change, during Earth Month and throughout the year.